Glidden Lodge is an excellent option for vacationers looking for Door County hotels, resorts, and lodging. Our beachfront inn is located on the Wisconsin shores of Lake Michigan just a short drive from downtown Sturgeon Bay on the “Quiet Side” of Door County. Our waterfront hotel features a beautiful, wide, golden-sand beach with shallow water for swimming. Relax on one of our resort’s beach chairs surrounded by nature and fragrant cedars, reading or watching the waves in the warm sun. 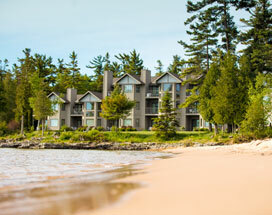 The grounds at Glidden Lodge feature beach volleyball, a tennis court and a basketball standard. We are in an area of quiet roads for biking. Enjoy a barbecue on our outdoor grill or relax in the heated pool, whirlpool and sauna. Glidden Lodge Beach Resort is about two miles south of Whitefish Dunes State Park with its many hiking trails, ski trails and sand beach. 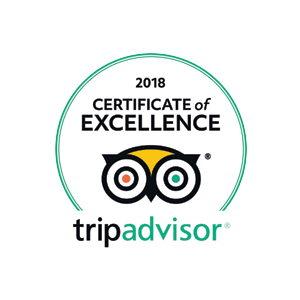 We think our Sturgeon Bay resort is the best waterfront resort in Door County, but don’t take our word for it – read our 5 star reviews and ratings. 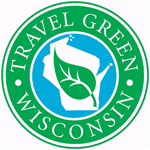 Over 160 Trip Advisor users have rated our Door County hotel as excellent. Architectural Digest ranks Glidden Lodge Beach Resort as one of eight luxurious hotels on the world’s most tranquil lakes. Next to the state park is the must-see Cave Point, a scenic Door County park. From our Door County beachfront resort, you can walk the beach to Whitefish Dunes and take connecting trails to Cave Point. Glidden Lodge also offers an exercise room with a computerized exercise bicycle, stair climber, state-of-the-art treadmill and multi-station weight system. Glidden Lodge also provides a business center with a printer for your convenience. And enjoy our free, wireless Internet access throughout the resort. Luxurious one, two and three bedroom condo rental units all have a breathtaking view of Door County’s Lake Michigan. 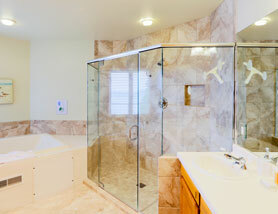 A gas fireplace, whirlpool tub for two, fully appointed kitchen and private patio or deck are standard features. All units have an eastern exposure to capture the stunning Door County sunrises, and moonrises, over the water. Enjoy the finest in waterfront dining next door at Donny’s Glidden Lodge Restaurant or visit one of Door County’s many excellent dining establishments within a short drive of our beachfront resort. We are centrally located in Door County, within driving distance to all the Peninsula and all the thigs its surrounding islands have to offer. 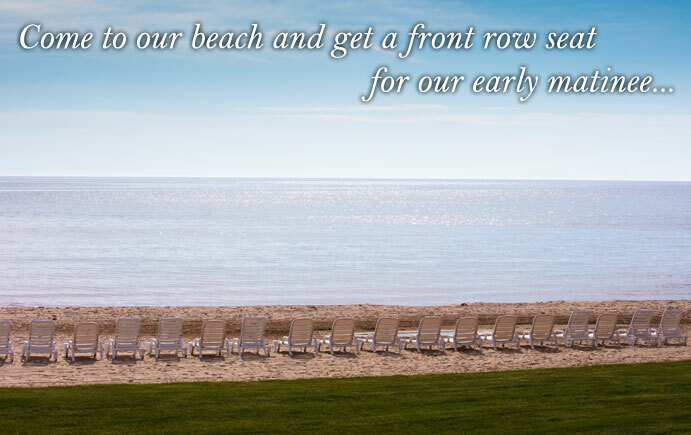 The goal of the staff at Glidden Lodge Beach Resort is to provide you with a one-of-a-kind experience that will bring you back time and again.